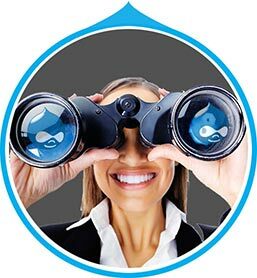 Amazing Drupal training for you or your team. Learn more below or go to pricing. Learn critical skills and techniques. Delight clients by offering simple and empowering training. Keep a searchable, high quality video library on hand for your team. Leverage your team to conduct powerful internal trainings. Perfect for addressing varying skill levels in a single training. 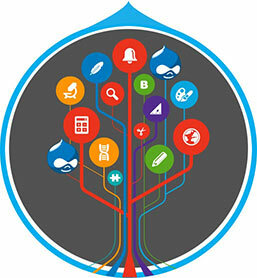 Effective Drupal education for everyone. 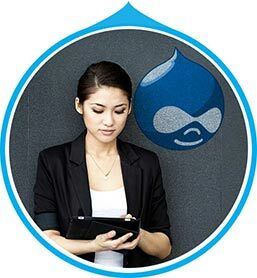 Help manage Drupal adoption with an extensive training library. Get admins, IT staff, and architects all on the same page. Over 2220 Drupal video tutorials and growing! Experience a whole new way of video learning using more parts of your brain. Click the transcript, jump to that part of the video. Quickly scan a whole video, read what you missed. Build custom video lists for yourself or your team. Build as many playlists as you like and share them with your team or the world. Perfect for building a training program for your team. Create mashups from multiple collections. View your activity and the activity of your team to optimize your membership. See what your team is focused on learning. See overall progress bars for each collection. As a member, download the source code and example files for every collection. Easily follow along with the examples. Copy code in steps to see how the examples progress. Examples can be valuable for your own projects later on. Viewable on modern Android and iOS phones and tablets. Watch on your device as you work on your computer. Learn on the go and take advantage of commutes to get in a few more minutes of learning. No additional app downloads necessary. Find exactly what you need, when you need it. The text in every video is completely searchable. Easily find a specific part in a video you want to reference. Congratulations on completing "Front End Development!" Welcome to "Change Management and Version Control"
Welcome to "Advanced Site Building"
Chris, I just wanted to say, as a professional educator in graphic/art media, software engineering and business – your educational materials are mind-blowing. I Looked at your introductory videos to Drupal 8 today. Any educator I’ve ever worked with at any level (K-12, College, Corporate), would stand a pretty distant second to the material format you are using! Haven’t even touched your skill level as a software developer and engineer which got my attention when meeting you, and seeing your work. I just got paid for my first Web site build, thanks in great part, to you and your videos. I am not spending this money; I am investing it. Thank you, Chris. One again, the explanations you provide are very clear, well structured and presented at the right pace. You saved my life this weekend. I had to create a draft of the next version of the website currently using Plone and I knew nothing of Drupal, except that it could help to do some web semantics. Did it! I just have to periodically say what a good job you've done with the tutorials you've produced. I enjoy going through them immensely and learn little bits on every one. The chapter challenges are very good too. I just want to say again that I think the videos are great. You have a very nice speaking voice and the presentations are so professional. Yours are by far the best video tutorials I’ve ever seen. Also, being the original GUI girl, I really appreciate that you are so understanding in the videos about a resistance to the command line. One of the things that I've always appreciated about Build A Module is the awesome and friendly service. You guys do a great job of communicating as just regular, friendly people. Excellent product. Yours is one of the rare tutorials where the outcome of an example is NEVER different than what you said it would be. Thanks. Just wanted to send a quick note to say thanks. Your site is the best resource for learning Drupal I've ever seen. Thanks! We are a non-profit hospital in an economically depressed area of New York state. I am the only web developer. Your site has been a lifesaver... Great, great resource. Thank you so much for all the great work! The content of this site is nothing short of amazing. It has been an absolute pleasure refreshing my knowledge on core Drupal/PHP subjects and even getting a deeper understanding of systems I work with daily. As a long time Drupal theme developer, I have enjoyed expanding my toolset and even used some BuldAModule learnings on a recent client redesign at [project].com, where I built an entire workout application using views, and field groups. Thanks again for the amazing content, keep up the great work. I have watched several of the videos -- they're great! I especially appreciate having the transcript side by side with the video and having the transcript as a means of navigation. Very nicely done. I'm fairly new to Drupal and I found your films--short and to the point--easy to understand and follow along with on my own test site... I found your course a wonderful and painless way of learning Drupal, which can be somewhat daunting. I found that your films were informative for complete novices and useful even to advanced users. Hello. First I would like to tell you my huge admiration for your site, your style, your teaching. Everything. It's not lessons it's Music. You are the Mozart of teaching. IMO @chris_shattuck @buildamodule is the best in the #Drupal Video Tutorial space. I've been using @buildamodule for a few days now and learning a lot, already things at work (http://www.multco.us) make a ton more sense! Just getting started with @buildamodule. Can tell immediately that this is very well done. Highly recommend @buildamodule by @chris_shattuck for getting up to speed on Drupal development! Huge thanks to @buildamodule for helping us teach 20 high school kids #Drupal during @DrupalCon! #buildthefutureofdrupal! You could pay $450 for 1 day of training, or $29 for 30 days. We save you $421 dollars and give you 16x the material. To pay for 6 months of BuildAModule training, it would take just 2 hours of freelance work at an average Drupal hourly rate of $75 / hr. In-house training can be expensive, costing $4000 or more for 2 days of training. Get the same expertise and re-use the material for years at a fraction of the price. 30 days of training for a team of 2 would cost just $57, saving you more than $3506. Greetings! My name is Chris Shattuck, and I founded BuildAModule in 2009. Originally, the vision was to help train Drupal Developers through really well done video tutorials, but the site now covers basic and intermediate Drupal skills as well. That voice you hear in the videos (I hope you’re into it) is me. I build the curriculum and record each video on BuildAModule, which gives me the unique ability to create very efficient, seamless video tutorial collections that cover some rather complicated material in an approachable way. There are some additional team members that help me transcribe and edit the videos as well, which lets me focus on the big picture and produce additional training material. 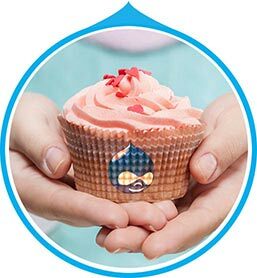 I've been heavily involved in the Drupal community for over 6 years, and love what Drupal has to offer. Once someone learns some basic Drupal skills, they have the power to build and tweak their own web projects while getting familiar with a technology that powers incredibly large sites and applications. That means that as they learn more, they become more and more valuable in the marketplace as programmers, designers, or even Drupal site builders. It's because of this that people invest so much time learning Drupal. But, the going can be rough without the right resources. My goal with BuildAModule has been to become a place where people can learn nearly any aspect of working with Drupal in the most efficient and enjoyable way possible. While BuildAModule is primarily about learning Drupal, I want to make sure we leverage new technologies as they emerge to continue being at the forefront of learning. Right now, video is one of the most efficient ways to learn because it gives you the ability to look over someone's shoulder as they do the same things you want to do, but it might not always be the best way. At BuildAModule we have created a number of ways to help you learn. The Mentored Training program, for example, where we use the videos in a live training environment to allow many different skill levels to work and learn together. Or the unique video player that includes an interactive, scrolling transcript to take advantage of more of your brain. BuildAModule has been around long enough that we know where our strengths are, and we know that the training material we provide for Drupal is already some of the best in the industry. Universities use BuildAModule to train their staff, colleges use it in the classroom as part of their curriculum, Fortune 500 companies use it to train their teams, and thousands of individuals use it to help build skills that are in serious demand. It's been an honor to help so many people build such valuable skills, and after 4 years, we've established a reputation for building tutorials that never leave out important steps, and that demonstrate how things work in the real world. I hope that you genuinely enjoy your time here, as many who have come before you have. If you promise to try enjoy the journey, we'll keep working to make BuildAModule even better. Good luck with the learning! Are you ready to buy for yourself or your team? Go to pricing, or use our savings calculator. Want to try out the site and learn some new stuff? Watch some free videos.